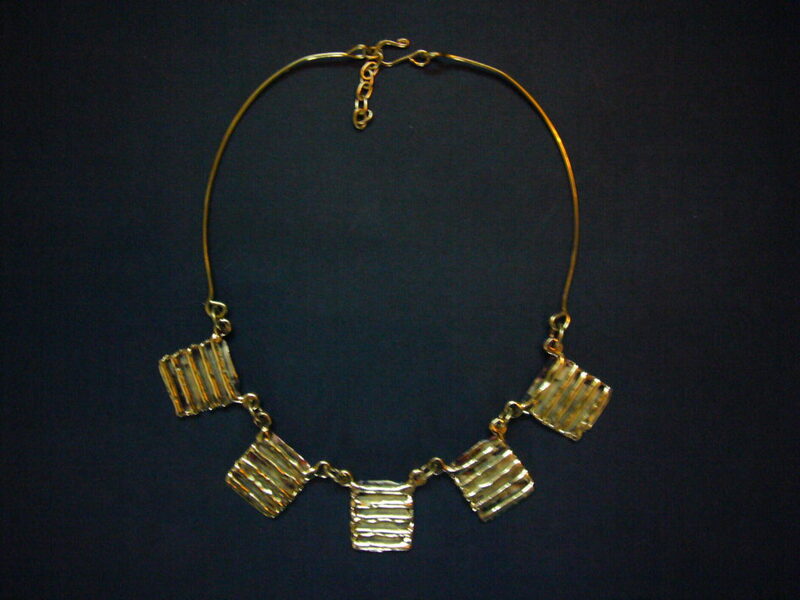 A short brass necklace, approximately 17" with five chunky mottled brass pendants detailed with hand worked stripes. 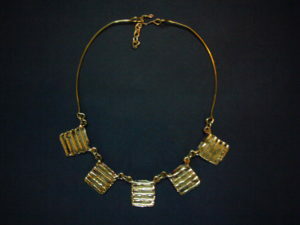 Hook clasp. A stunning and stylish piece. Each piece of 'Creative Copper' comes with a signature gift bag.